Travel article on Bali, Indonesia. A dream of visiting the Island of Gods was finally realized when the plane landed in the beautiful Ngurah Rai International Airport of Bali. Bali is one of over 17,000 islands in the Indonesian archipelago. 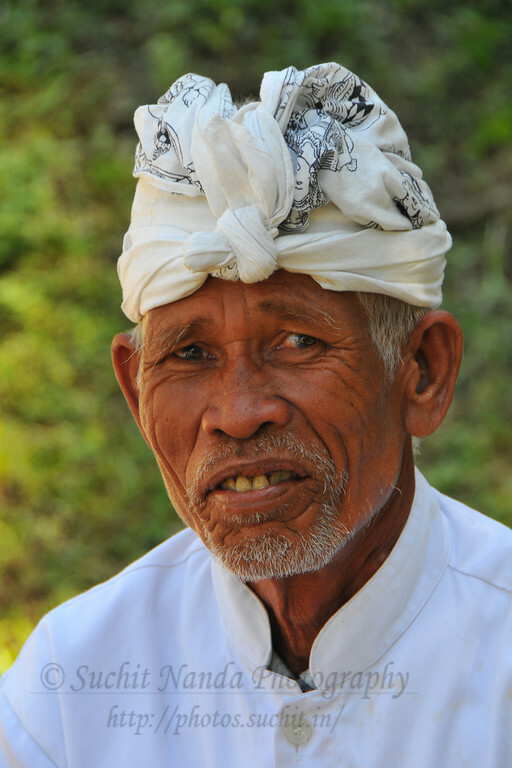 What amazed us was that in Indonesia, a country dominated by Muslims, Bali remains an Island of Hindus with 90 percent of its population follow Hindu religion and culture. Every aspect of Balinese life is suffused with religion, but the most visible signs are the tiny offerings (sesajen) of flowers, rice and salt in little bamboo leaf trays, found in every Balinese house, restaurant, souvenir stall and airport check-in desk. They are set out and sprinkled with holy water three times a day, before every meal. Solemn temples and the Hindu culture are what make Bali more than just a beach resort, giving birth to enchanting phrases as “The Island of Gods” and “Paradise on Earth”. 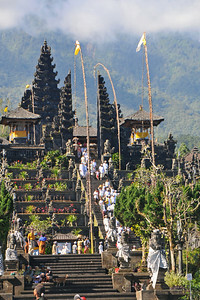 We hired a taxi from the airport, straight to Ubud, the cultural center of Bali, perched 600 meters above sea level. We observed that Ubud has accommodation to suit all tastes and budgets, ranging from comfortable family-run homestays to world class resorts. We chose a quaint little hotel with a small temple inside its complex. We fell in love with our very traditional yet simple room, with beds and other furniture made of bamboos. 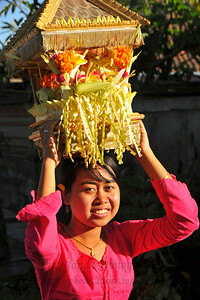 The Balinese staff were very soft natured always serving with a genuine smile. After a nice cup of tea, we stepped out to discover Ubud. Ubud was fairly cooler than the coast and was much quieter and calmer than the more urbanized parts of Bali. 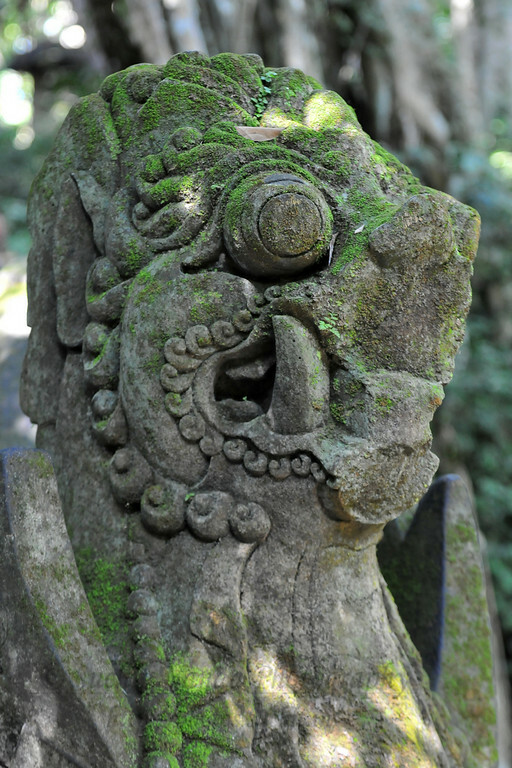 Orienting oneself in Ubud is easy as most of Ubud lies within 5 km and it is easy to walk about on foot. Central Ubud has three main streets, Jl. Raya Ubud, Jl. Monkey Forest, and Jl. Hanoman. At the intersection of Jl. Raya and Jl. 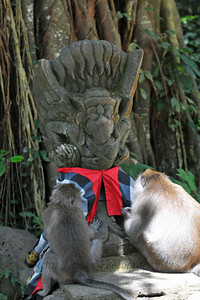 Monkey Forest is the Ubud Market, the Ubud Palace. Jl. Monkey Forest, south to the Monkey Forest itself, is the most built up in the area, and home to a wide array of accommodation, art galleries, cafes, restaurants and cafes, and essential services pharmacies, travel agents, etc. Jl. Hanoman, which runs parallel to Jl. Monkey Forest, is a bit quieter and makes for more pleasant walking. 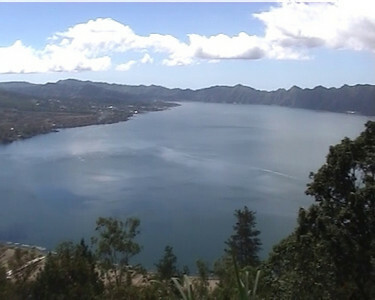 To the immediate west and northwest are the villages of Campuhan and Kedewatan, home to some of the most up market hotels in the area with views over the Agung River valley of its landscape remain unspoiled, with lush rice paddies and towering coconut trees. I would describe Ubud as a magical and a cultural town, as every corner of it is soaked remarkably in Balinese culture in its myriad forms. Famous as an arts and crafts hub, most of the town and nearby villages are full of artists, workshops, and galleries. 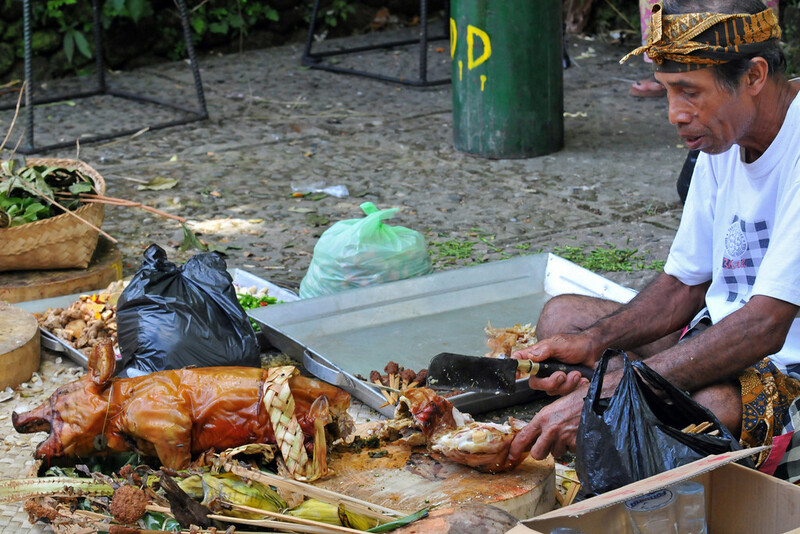 Ubud is the kind of place where you can go crazy sampling all the wonderful eating options available. That is why many people come to Ubud for a day or two and end up staying longer, drawn in by the rich culture and many activities. 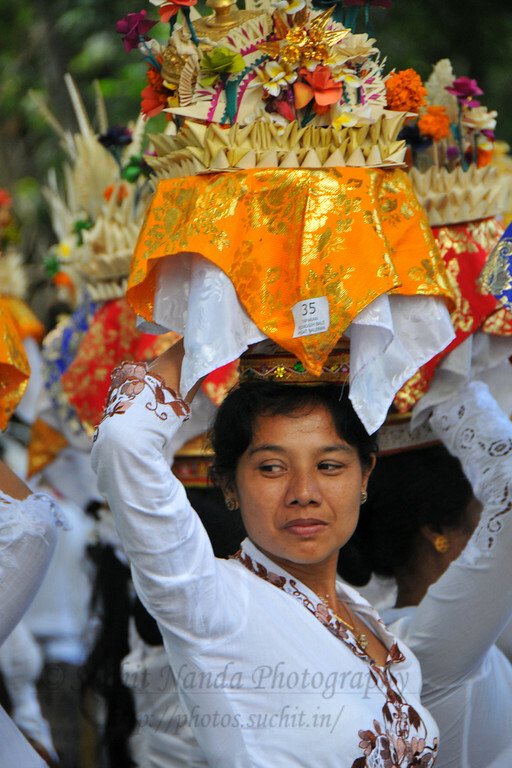 Ubud is also center of the most beautiful dance of the region, the Legong Dance. 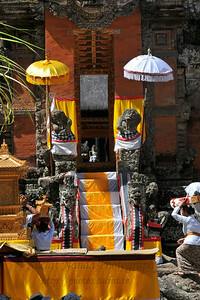 Legong Dance is the most graceful and splendid among the three major Balinese dances- Legong, Barong and Kekak dances. 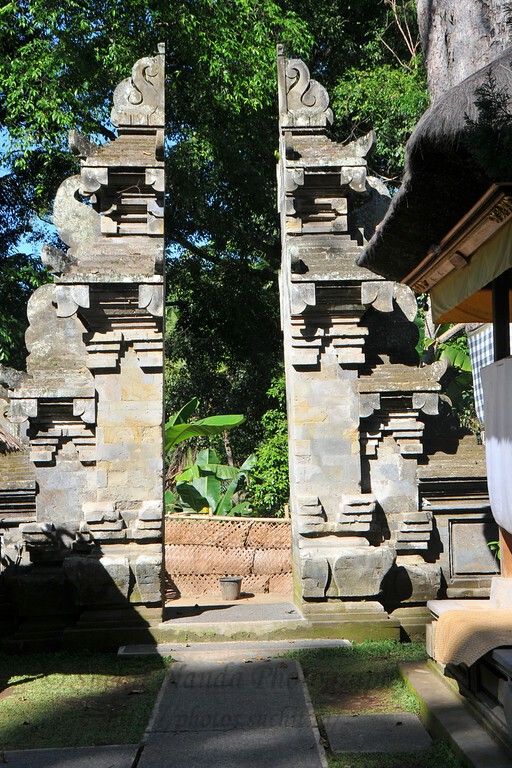 A must see while in Ubud! 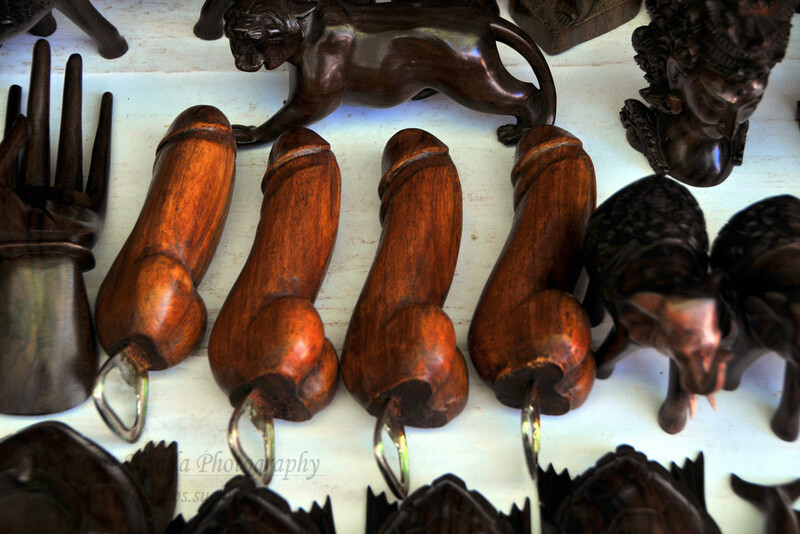 For shopping there is a Ubud Market, a two-story warren of stalls bursting at the seams with wood carvings, batik shirts, sarongs and anything else a tourist could possibly want as souvenirs. The merchants here haggle with tourists for a living and think nothing of asking for ten times the going price, so try to establish a baseline before you go in and buy. Ubud has a monkey forest, quite famous among tourists. A forest full of monkeys though interesting for some, my advice is not to bring any food or risk bites and rabies injections. 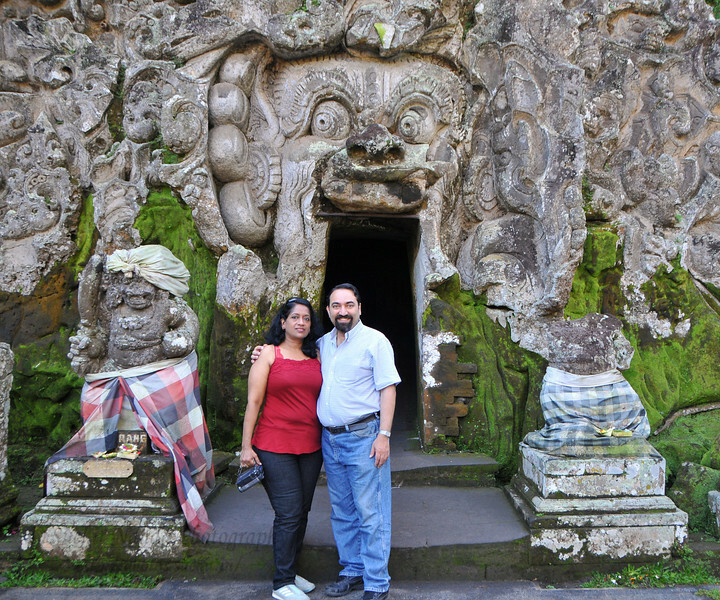 Strolling through the forest, we found the Pura Dalem Agung Padangtegal, a Temple of the Dead. This were we got to see the barong or "lion dance" — a ritual dance depicting the fight between good and evil, with performers wearing fearsome lion-like masks. 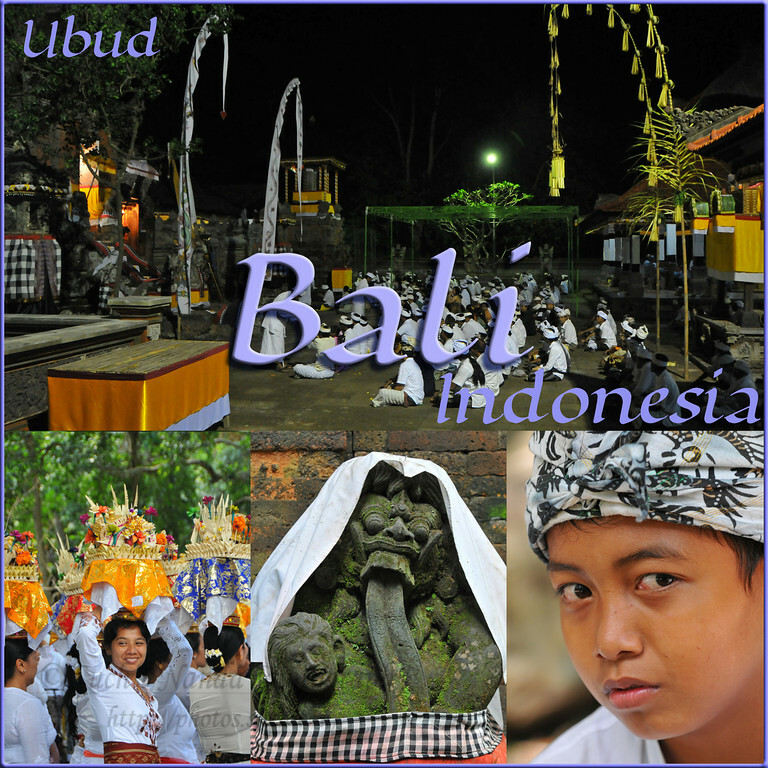 Bali Island has about 20,000 temples, each of which holds festivals at least twice a year and there are many other auspicious days throughout the year, meaning that there are always festivities going on. Among these 20000 temples, the two major ones that are extremely popular are the Uluwatu temple and Tanah Lot temple. The Uluwatu (means cape) temple was built on the 11th century but more amazing than the temple itself is its location, perched on a steep cliff 70 meters above the roaring ocean waves. There are more steep headlands on either side, and sunsets over Uluwatu are a remarkable sight. To get the breath taking view from the cliff we arrived before the sunset to enjoy the beautiful blue of the ocean and waited until the sunset when the temple stands out dark against the backdrop of the burning sky. The evening sun descending on the ocean turned the sun bright red and the temple silhouette seems to emerge from another world. Great place to be photographed and carry memoirs home. 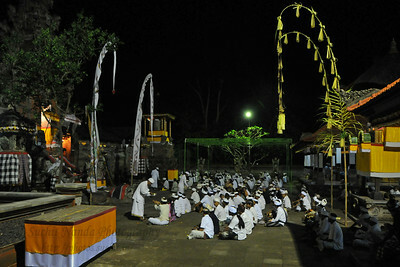 Another must see here is the Kecak and fire dance. 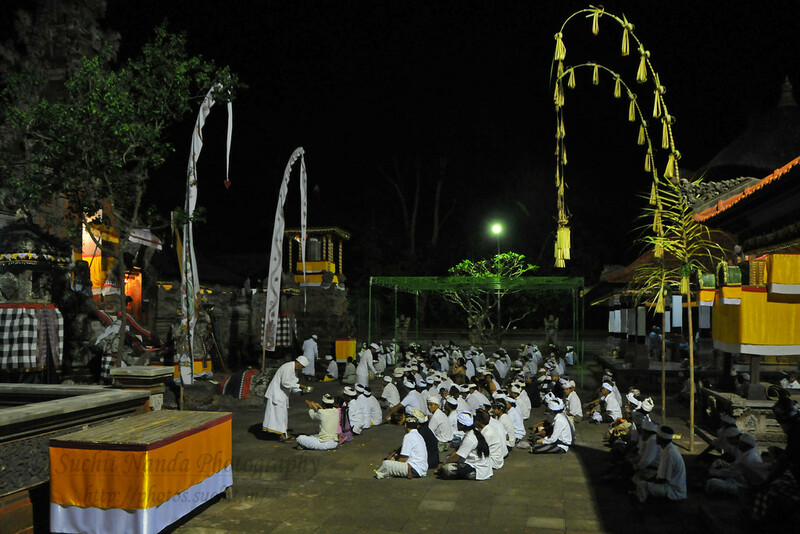 The Kecak is a stage drama of a chorus based on the Ramayana, an ancient Indian epic. About 100 men dancing with the backdrop of ocean at sundown, in concentric circles chanting "kecak kecak" in unison. In the middle of the circle stands a fire of woods, around which dancers playing the roles of Prince Ram and Princess Sita perform an elegant dance creating a mystical as well as a wild ambiance. 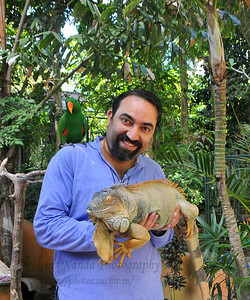 One has to be on your guard around the monkeys that infest here. They are experts at stealing possessions like glasses, small cameras and even handbags, and have been known to attack people carrying food. Next evening we drove to the Tanah Lot temple to enjoy another sunset. Built in 15th century, this temple stands on a huge rock and at high tide, the water surrounds the temple. The temple with its silhouette dark against the evening glow appeared as if it is floating on the ocean, was indeed solemn. Its mystical and beautiful outline emerging in the evening sky made it most picturesque for photography as well. We were told that on a clear day one is able to see the Uluwatu temple perched on the edge of another cliff at a distance. Though central Ubud could be covered on foot, we rented a car to explore the vicinity around Ubud temples and ancient sites. One of them was Goa Gajah (Elephant Cave), 3 km east from Ubud. The centerpiece here is a cave, whose entrance is an ornately carved demon's mouth. Inside are some Shiv lingams, as well as a statue of Ganesha. 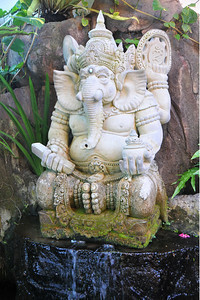 Many statues stand guard around pools near the entrance and a little path leads to a waterfall, rice fields, and some Buddhist stupa fragments. Next, we were driven to one of the holiest temples in Bali, the Tirta Empul, 20 km northeast from Ubud. It was built around hot springs that now bubble lightly in the central courtyard. Balinese themselves come here to bathe and purify themselves physically and spiritually. The complex dates to 960, but the present buildings are all modern reconstructions. 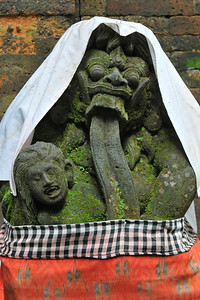 A temple revered as the Mother Temple of Bali Hindus is the Besakih temple. Besides being the most important temple for the whole of the island, another attraction of Besakih temple complex, is its dramatic location on the southern slopes of Mount Agung, Bali's highest peak. We took the "back" road to Besakih from Kintamani and the hour-long drive was beautiful as we passed through forests, villages, and fields, moving from the slopes to the Mount Agung. 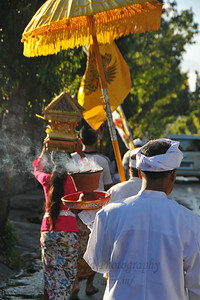 The only way to move around the temples of Besakih is on foot. The complex gradually rises up the slopes of Gunung Agung and there are countless flights of steps. 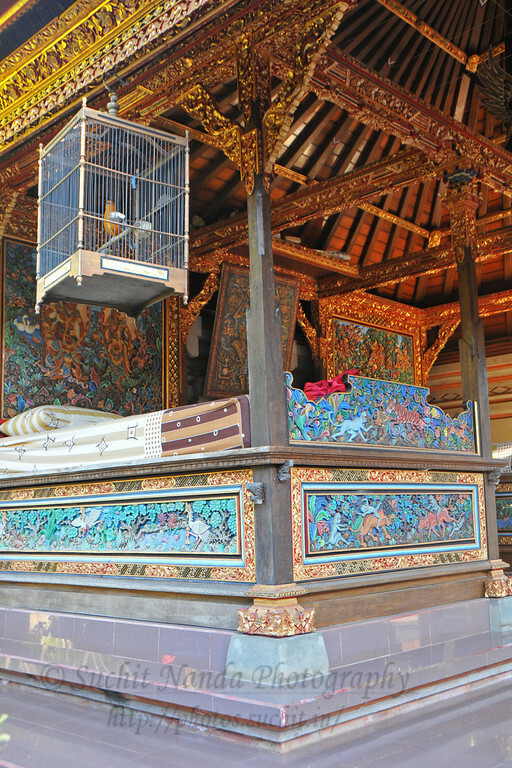 We noticed that most temple areas in Bali are off-limits when religious events are being held. However, we could look around from the side of the temple compound everywhere. Besakih temple complex consists of at least 18 separate temples and numerous other shrines. Each temple has a specific purpose, whether it is for the worship of a particular god, for the use of the people of a particular region of Bali, or for the use of a particular caste. Respectful dressing is required in all Balinese temples and wearing a sarong and sash is mandatory. If you do not have one then thy can be obtained at the entrance to the temple for a small fee. 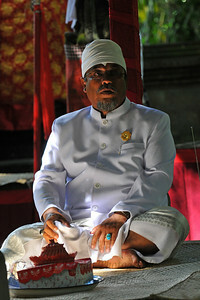 Our guide was quite useful as he gave a good explanation of Balinese Hinduism and the various temples of Besakih. 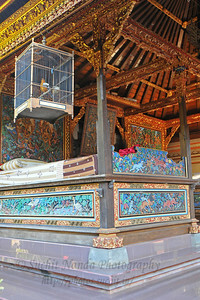 Like most major temples in Bali, the area surrounding Besakih had many souvenir and food stalls. After spending three days in Ubud, we came down to the coast to spend three more days in Sanur, to have the benefit of the sea, sun and sand. Here a reef shelters the white-sand beach. Despite the abundance of restaurants and hotels, it has a quieter and more relaxed feel to it. The local markets are a sensory delight, with plenty of food options. Those who are very sporty can try some of the many water sports like windsurfing, wakeboarding, surfing or hang gliding at Sanur Beach or those who like light activity can hire a Banana Boat and hit the calm waters .Though Sanur is slightly up market, Nusa Dua is well known as an enclave of expensive hotels. It is popular for its luxurious 5-star resorts and seafood grilling restaurants on the beach. Nusa Dua is located 40km from Denpasar, the provincial capital of Bali and where the closest airport it located. A bustling city, Denpasar, is the administrative center and transport hub of the island. Denpasar means ‘by the market’ and is Bali’s only real city. Denpasar is not particularly ‘tourist friendly’. Due to its traffic system and the lack of obvious tourist facilities visitors often overlook it. The only way to move around the temples of Besakih is on foot. The complex gradually rises up the slopes of Gunung Agung and there are countless flights of steps. 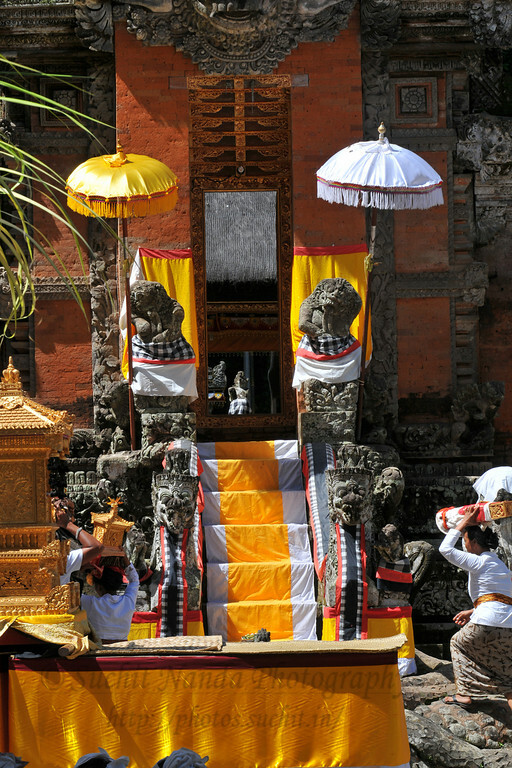 We noticed that most temple areas in Bali are off-limits when religious events are being held. However, we could look around from the side of the temple compound everywhere. 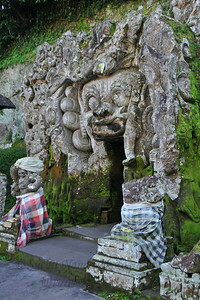 Besakih temple complex consists of at least 18 separate temples and numerous other shrines. Each temple has a specific purpose, whether it is for the worship of a particular god, for the The most desired destination among surfing enthusiasts and youngsters from all the around the world is KUTA. A long sandy beach without any dangerous rocks makes Kuta an attraction for beginners. It also has a bustling network of narrow lanes lined with bars, losmen (basic accommodation), and stalls piled high with fake surf wear, dodgy DVDs and lurid football shirts; Kuta is all about rampant commerce full of armies of hawkers that comb the streets here. It is by far the most heavily developed area in Bali full of shopping and nightlife, and the center of party culture in Bali. Moreover, if you have had your fill of Kuta’s frenetic energy, consider shifting just up the coast to the less manic surrounds of Legian or stylish Seminyak with its designer bars and legendary clubbing scene. Both are continuations of the same strip that creeps up the coastline; the further north you get from central Kuta, the less built-up and more exclusive the area becomes. Though just a few steps away, Kuta’s raison d’être remains as wonderful as ever, as another set of perfect rollers washes over its magnificent golden sands. 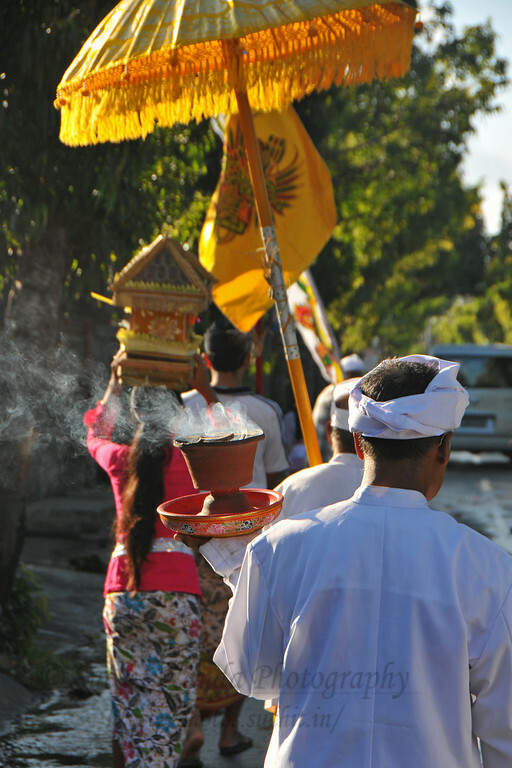 While subtlety is not Kuta’s strength, numerous resorts retain a slice of Balinese charm – incense wafts down the gang and offerings of flower petals are laid out each morning to appease the Hindu gods. When were visiting Bali, an annual event, The Bali Arts Festival was taking place. This presented us with a wonderful opportunity to see the local village culture both "live" and at first hand. We could see and capture the images of the classical dances of the island. We were told that dances such as the Legong, gambuh, kecak, barong, baris, mask dances, are based on the theme around which new "dance choreography" is produced and old village dances and activities revived. Over the years, the whole range of classical Balinese stories - Ramayana, Mahabharata, Sutasoma, Panji - have thus been turned into "colossal" Sendratari Ballets. Many of the performances are held at the amphitheater that can hold up to 6,000 spectators, in a temple-like stage. One afternoon, while driving around looking for a veg. restaurant we came across the Bali Monument. 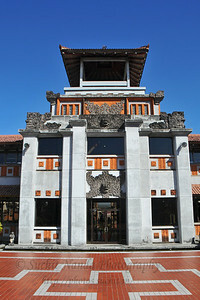 This is located at civic centre of Bali. From a distance, the shape of the monument looks like a Thai Temple. Its entire wall is made of reinforced concrete and plated with volcanic stone. Horizontally, the basic structure of the monument is a symmetrical square applying the Tri Mandala (a concept that divides the space of a compound into three parts) consisting of: Utama mandala, the main building located at the centre. It is surrounded by a ring of fish pond and foot path, bordered with a wall fence of the same material, with four main gates at the four directions and four resting pavilions in each corner.. Madia Mandala is the inner yard surrounding the main building is also bordered with a wall fence with four split gates in each direction. Nista Mandala is the outer yard surrounding the monument with a park full of trees of medicinal, ritual, and endangered species. A grand impressive structure! On the advice of our guide, we ventured to the Sukawati Market, full of art shops offering one stop shopping. Stuff as garments, souvenirs, paintings, basketry, sold in other areas originate from here and are considerably cheaper. A good place to explore the shopping experience in a natural way, get in touch with common people and see how the locals go about the art of negotiation. Yes, shopping here is an experience. Bali is also described “The healing island”, not only since Bali has numerous beauty salons and spas using natural ingredients but also because of the unique energy of the island in harmony with Mother Nature, and the smiling faces of the Balinese people appease the visitors. Enjoy the Bali’s charms to the full and have yourself healed. Now you know why I used the word paradise for Bali; the amalgamation of gracious, welcoming people, a magnificently visual culture immersed in spirituality and of course, the marvelous beaches with great surfing and diving have make Bali Indonesia's unparalleled number one tourist attraction. Bali has managed to retain its magic. 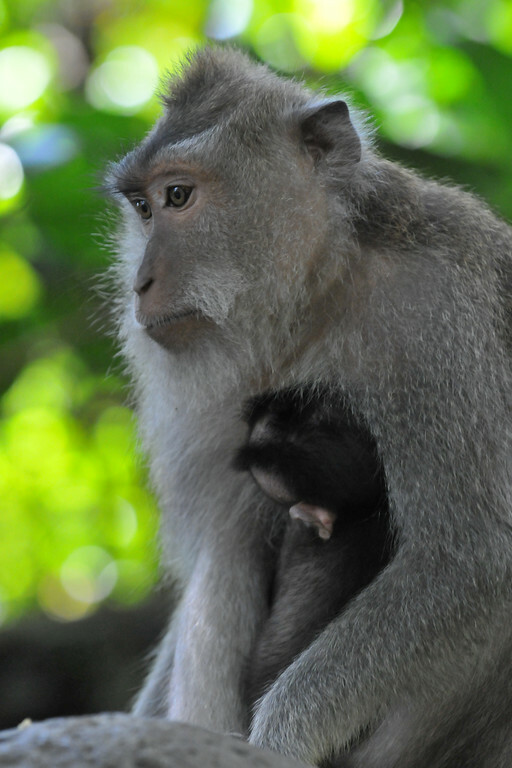 Bali is a wonderful destination with something for everyone. 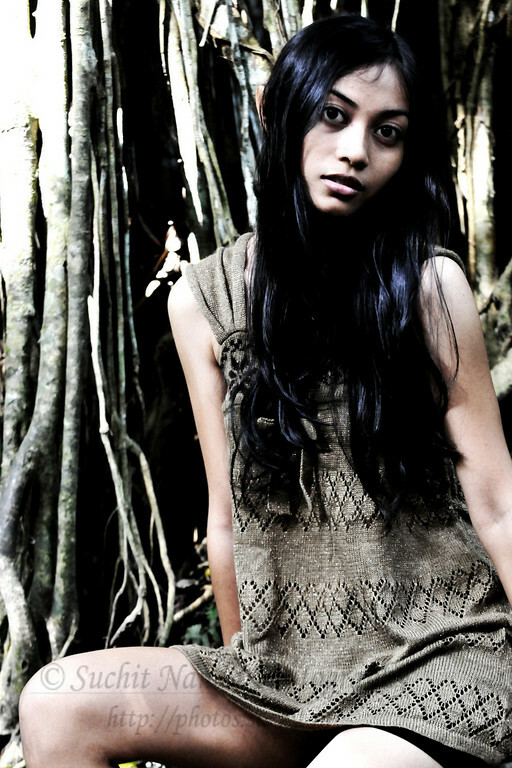 •	Bali is always warm, humid and tropical, remaining around 30-35°C (85-95°F) all year round. The Apr-Oct dry season and Nov-Mar rainy seasons. Bali can get packed in July-August and again around Christmas and New Year's. Australians also visit during school holidays in early Apr., late Jun. and late Sept., while Indonesians visit during national holidays. Outside these peaks, Bali can be surprisingly quiet and good discounts on accommodation are often available. Text and all pictures copyright Suchit Nanda. All images shot with Nikon D300 DSLR camera with lens: Nikkor lens such as Nikkor 18-200mm f/3.5-4.5G ED IF AF-S DX, Nikon 50 mm f/1.8 and Nikon 70-200 f/2.8 Etc. This article has been printed in Asian Photography Magazine August 2009 issue and can be seen here.